For her first solo LP in seventeen years, Alison Krauss’ prerogative was to make a country album featuring songs older than her. She enlisted the aid of Buddy Cannon, who brought the recording sessions to life in 2013. The ten-track collection, Windy City, will finally see release on February 17. I’ve been longing for new music from Krauss ever since Paper Airplane back in 2011, hoping she would give us something new, not another ballad-driven album with Union Station. I love when she plays with tempo and texture and doesn’t rest comfortably in her signature style. To kick off the new set, Krauss has graced us with ‘Losing You,’ the Brenda Lee classic from 1963. 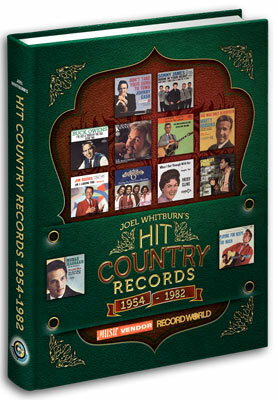 Lee’s hit recording, it should be noted, wasn’t a country one – it peaked top 10 in pop and adult contemporary. It’s an excellent recording, too, with Lee singing the fire out of the torch ballad, which was perfectly produced by Owen Bradley. In approaching anything with Krauss’ voice on it, it’s very easy to be swept away by the beautiful marriage of the arrangement with her angelic vocal. The result is stunning – Cannon perfectly complements her with lush AC-leaning tones that afford her opportunity to soar. Technically, this record is perfection. I cannot wait to see what the rest of Windy City has in store. ‘Losing You’ is a fantastic first taste of what appears is going to be another early highlight of this already interesting year. Voices like Willie Nelson’s are an often-cited reason why many people don’t like country music, so in many respects Willie was an unlikely pop star. Nevertheless, with albums like Stardust, he proved that he could not only handle non-country material, but that he could also appeal to worldwide audiences much broader than the typical country music fan base. 1982’s Always On My Mind is one of his most AC-leaning albums. Like Stardust, it reached outside the country genre for material, though the selections this time around were more contemporary. The title track had first been introduced to country audiences by Brenda Lee a decade earlier. Her version peaked outside the country Top 40. A cover version by Elvis Presley the same year reached 16 on the AC charts, but the song remained relatively unknown despite being recorded by numerous other artists, until Willie’s version came along. His recording of the song became the biggest hit of his career; it topped the Billboard country singles chart in May 1982 and was the magazine’s #1 country single of the year. It also reached #5 on the all-genre Hot 100 chart and earned three Grammy Awards — one for Willie for Best Male Country Vocal Performance as well as Best Country Song and Song of the Year for its writers Mark James, Johnny Christopher and Wayne Carson Thompson. It was also widely honored by the Country Music Association, winning Single of the Year in 1982 and Song of the Year in both 1982 and 1983. Willie also took home the 1982 Album of the Year trophy. It’s exceedingly difficult to follow up a career record, but Willie’s next two singles, while not matching the success of “Always On My Mind”, turned in respectable chart performances. His cover of the Everly Brothers’ “Let It Be Me” reached #2 on the country charts and #11 on the AC charts and just cracked the Top 40 on the Hot 100. “Last Thing I Needed First Thing This Morning”, a song that I did not initially like but now consider a favorite, also reached #2 on the country chart but did not enjoy any crossover success. Aside from some harmonica and Willie’s trademark guitar, there is no country instrumentation on this album. The fiddle and steel guitar are absent, and the saxophone is used instead on tracks like “Let It Be Me” and “Old Fords and a Natural Stone”, and most of the non-single album cuts come from outside of country music. The opening track “Do Right Woman, Do Right Man”, written by the album’s producer Chips Moman and Dan Penn, had been an R&B hit for Aretha Franklin in 1967. The song had been covered for the country market previously, by Barbara Mandrell whose version went to #17 in 1971, and surprisingly, it was also recorded by Kitty Wells at some point. “A Whiter Shade Of Pale”, on which Willie is joined by Waylon Jennings, is a remake of a 1967 psychadelic rock hit by the British group Procul Harum. Willie also does a very nice version of Paul Simon’s “Bridge Over Troubled Water”. Always On My Mind was clearly designed with one eye on the pop market, but it avoids the excesses and overproduction that was typical of most recordings of the era that had crossover aspirations. Sufficient concessions were also made to keep country fans happy. Among the more country-sounding material are two songs penned by Willie: “Permanently Lonely” and “The Party’s Over”, a remake of his own earlier recording, which like some of the other remakes on this album, dates back to 1967. It’s my favorite track on the album. Legacy Recordings reissued Always On My Mind in 2008, with two new tracks: “The Man Who Owes Everyone” and “I’m A Memory”, both of which are enjoyable, though they would have fit in better on one of his more country-sounding albums. Selling more than 4 million copies in the United States and another 2 million in Canada, Always On My Mind is second only to Stardust in terms of commercial success. It’s always been a favorite of mine, primarily for nostalgic reasons, but due to its reliance on pop, R&B and rock material, it’s not an especially important album in terms of country music, aside from the three singles, which are widely available on numerous compilations. That being said, it is an enjoyable record, country or not, and a cheap used copy is well worth picking up.